The festive season around Diwali accounts for a majority of sales reported across offline and online channels. It is only natural for e-commerce companies like Flipkart, Amazon, and Snapdeal to make the most out of it. Flipkart is back with the second edition of its Big Billion Day Sale, targeted at consumers looking to grab discounts during the festive season. The aim was to target more first-time buyers who would be more likely to buy online if given an incentive in the form of a discount. Flipkart’s Big Billion Days sale last year met with mixed responses from all across. 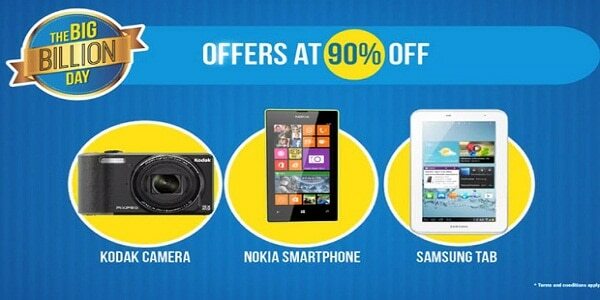 This year, the Flipkart Big Billion Days sale is returning with even more to offer. The sale from October 13-17 will be available only on its mobile app. Flipkart head of commerce Mukesh Bansal said, “Bigger and better as compared to last year, we have worked towards ensuring a seamless shopping experience for our customers”. The most popular product categories during the Billion Days sale are electronics, computers and accessories, and smartphones. Last year, Flipkart’s Big Billion Day saw sales of merchandise of over Rs 600 crore in 10 hours and the one-day flash sale was marred with technical and logistical glitches. Flipkart apologized to customers, acknowledging that their experience was less than pleasant. To ensure that sellers stock enough and deliver on time, the company is offering four outperforming sellers return flight tickets to Paris, besides iPad for over a dozen star sellers. Freecharge, digital wallet owned by Snapdeal, has announced that the company will adopt Aadhaar as the primary KYC tool for opening and upgrading wallets. Consumers who enroll for a Freecharge wallet with Aadhaar authentication can have their balance limit enhanced from Rs 10,000 to Rs 1 Lakh. Also, there will be no monetary limit on transactions making the wallet truly versatile. Freecharge, which has already hit the million wallets mark within a week of launch, believes that being Aadhaar enabled is a key to mass adoption and ubiquitous usage. There are multiple ways for a consumer to link their Freecharge wallet to their Aadhaar number. These services include doorstep service available on demand. Consumers can also authenticate by walking into any of the 30,000 banking correspondent points of Freecharge partner YES bank, or they can simply walk into any branch of YES bank. The company plans to extend the service by partnering with FINO, the payments bank licensee and a strategic partner of Freecharge, in the future. Paytm wants to launch the country’s first payments bank by the end of this financial year. Paytm founder and CEO Vijay Shekhar Sharma, has received in-principle nod from the RBI to set up a payments bank. 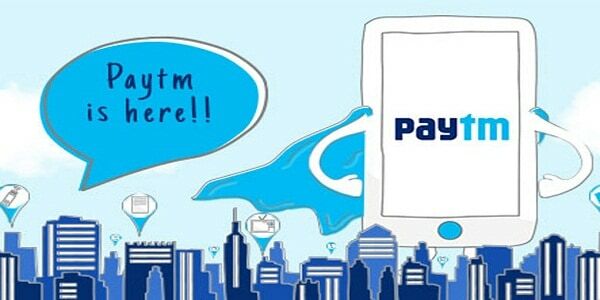 Paytm Payments Bank, the new company set up to house the payments bank, will also include the mobile wallet business. Paytm, the youngest licensee, Reliance Industries, Bharti Airtel, Vodafone, Aditya Birla Nuvo, Sun Pharma founder Dilip Shanghvi, Fino PayTech, Tech Mahindra, National Securities Depository, Cholamandalam Finance and India Post were among the 42 applicants that got approval for starting payments banks. Here, customers can open small saving accounts, and the banks will be allowed to issue debit and ATM cards. While customers can only deposit up to Rs 1 lakh, these banks will not be allowed to carry out lending activities. Founder of Paytm, Vijay Sharma said “We want to be the first payments bank in the country. We have technology on our side, simple organizational structure to create; we have people recruitment on, which is critical, as we speak”. 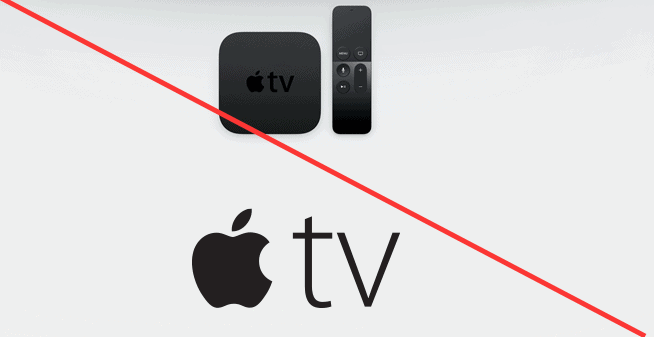 Amazon will soon remove Apple TV and Google Chromecast streaming media devices from its online shopping platform. The company will also prohibit new listings for the products. Amazon doesn’t want to sell products that compete with its own Fire TV streaming hardware. Amazon’s move to ban competitors is not a retailing gambit. In fact, the company is willing to risk annoying customers who cannot get what they want because it is pursuing a much bigger prize. Of course Amazon denies that it is removing products because they threaten sales of its own hardware. Google Chromecast has steadily been a top seller in the electronics category since its debut and Google just announced a brand new model. Consumers will still be able to purchase it from the Google Store, Best Buy, and other third-party retailers. Apple too is preparing to release an updated version of the Apple TV box later this month through its own store and via a slew of authorized retailers. Google.com is probably one of the most expensive domain names in the world. But Sanmay Ved, an ex-Google employee was able to buy it for just $12 in the last week. Sanmay Ved considers himself fortunate enough to own the domain for a minute. Sanmay Ved was surfing through Google Domains, Google’s website-buying service, when he came across Google.com, and yes, it was available and too for a meagre $12. And ex-Googler Sanmay Ved owned it for one, handsome minute. 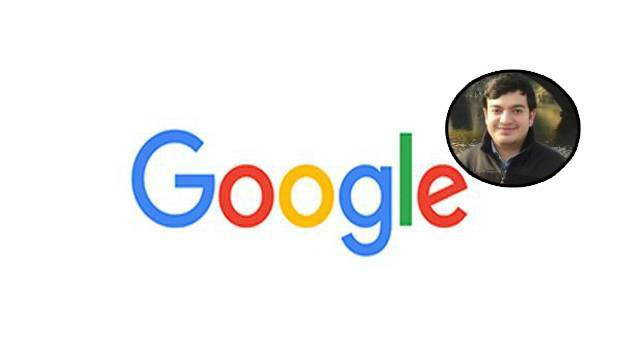 In a LinkedIn post, Sanmay stated that he was amazed to see a happy green face next to the domain name that indicated that the Google.com was ready for purchase. He thought that perhaps an error might take place, but the purchasing process was successfully completed.